City council members collide on best course of action for proposed access amenity. REDONDO BEACH — A divided Redondo Beach City Council narrowly decided on June 13 move forward with plans to reconsider the location of King Harbor’s first-ever boat launch ramp, thanks to a split vote decided entirely on what would qualify as partisan lines in the South Bay municipality. A shorthanded council opened the door for the city to relocate a planned boat launch ramp to Mole C. A previously approved plan called for the launch ramp to be established at Mole B despite safety concerns raised by boaters and harbor officials. The prospect of shifting the planned boat launch ramp to a new location within King Harbor comes amidst a whirlwind of changes in Redondo Beach during the past few months. Former Mayor Steve Aspel, who supported CenterCal’s plan to redevelop King Harbor, was ousted in the most recent election. The CenterCal proposal itself was stifled when Redondo Beach voters also approved Measure C, a ballot initiative restricting the scope of waterfront development within the city. Voters also elected local boater Nils Nehrenheim to the dais several weeks later. The combination of Nehrenheim’s election, Aspel’s loss, Measure C’s passage and the ballot box win of newcomer Todd Loewenstein helped established a referendum of slow growth advocacy on the Redondo Beach City Council. The Loewenstein-Nehrenheim bloc prevailed in the first major waterfront/boating debate of the reshuffled City Council. The council voted 2-1, with an abstention, to direct city staff to hold off on responding to a California Coastal Commission request for more information on Redondo Beach’s Mole B application. 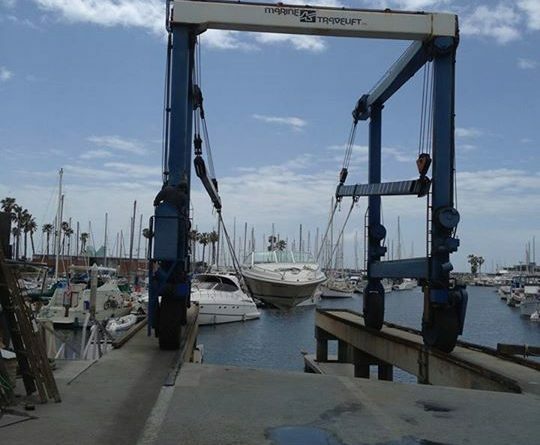 Redondo Beach will also revisit the debate of where the planned boat launch ramp should be placed as the June 13 council vote called for two public hearings to address safety findings and provide input on the optimal location for a boat launch ramp. Council member Christian Horvath suggested the city should instead take a more cautious approach since there might still be questions of whether Mole C would indeed be a viable alternative for a boat launch ramp. “There’s an enormous amount of support for Mole C. What we don’t know is if Mole C will also meet the letter of the law,” Horvath said, adding the city has already received extensive public input on Mole C via previous workshops. Horvath was the sole abstention in the final vote. Mayor Bill Brand – who was questioned by Council member John Gran for placing this item on the June 13 agenda – was not thrilled with the city’s decision to establish a boat launch ramp at Mole B. Council member Laura Emdee was not present at the June 13 council meeting, fueling speculation the item was intentionally deliberated in her absence. Members of the public also urged the council to withdraw its Mole B boat launch ramp application with the Coastal Commission, stating it was unsafe and the city had complete control to change course. Several residents also mentioned the Coastal Commission presented several questions about plans to build the ramp at Mole B. “We still want a boat ramp. We still want the boat ramp to be safe. The Mole B boat ramp is still inherently unsafe according to our own harbor patrol experts,” resident Martin Holmes told council members. Local boater Mark Hansen also urged the council to consider alternatives to the Mole B boat launch ramp proposal. “The boating community identified 16 specific concerns with the functionality and safety of [Mole B], most of which cannot be mitigated due to the very limited maneuvering water [area] and the very limited land area. On the other hand, effective mitigation measures can be applied to address the concerns identified at Mole C,” Hansen told council members. Mole C became more attractive as a boat launch ramp location, according to Hansen, since the parent company of the one business located there – Joe’s Crab Shack – reportedly filed for bankruptcy. The potential closure of Joe’s Crab Shack could open the door for the city to purchase Mole C for purposes of building a boat launch ramp there, it is believed. “You should withdraw this from Coastal Commission consideration,” Light said. The boat launch ramp was not an element of CenterCal’s Waterfront proposal. However the project would not have been able to move forward without including of such a ramp. King Harbor has been without a boat launch ramp during its entire existence. I’m old enough to correct the last sentence in this story. There WAS a boat launch ramp when King Harbor was first built. My Dad launched his trailer boat there many times. The old launch ramp seemed to fall victim to future developments. Thank you. I for one appreciate your input as to the truth out there. People seem to only look at what is front of them and not what has happened.